There is power in praise. It is the key to the entrance to the holy of holies, the Lord’s secret dwelling place. Psalms 22:3 states that “God inhabits the praises of His people.” Indeed, when His people praise Him with their hearts, the Lord never fails to manifest His loving presence. At Freedom Worship Center, the Music Ministry is composed of what we call as the “Praise and Worship Team”. Most people would consider it a band because it includes keyboard, drums, guitar, bass, lead vocals and a couple of back-up singers. However, we do not consider our group as a band, but rather a team that which is unified by God in His Spirit who by grace enables us to have the privilege of leading His people in praise and worship. 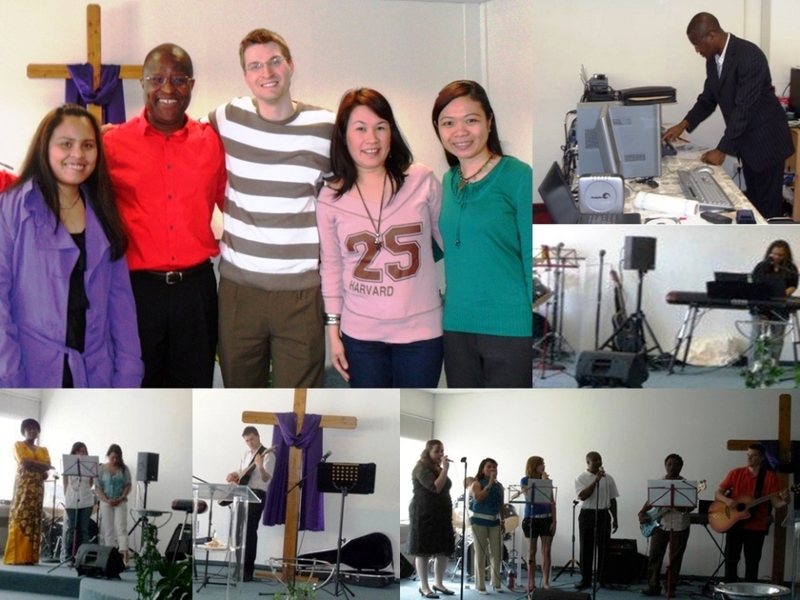 The Team conducts its weekly practice for our Sunday service every Thursday or Friday. We have a wide array of songs for praise and worship and it includes music both in English and German. We have songs from various artists like Hillsong, Vicky Beeching, Chris Tomlin, Newsboys, Albert Frey, among others. In our Sunday services and special services, our songs are translated both in English and German to facilitate a better understanding of the words that are being sung during praise and worship. In addition to the aforementioned, we also conduct music workshop for our youth. We believe that the next generation needs to be built up for Kingdom work and we try to help them out the best way we could by training them. Finally, we believe that as we praise and worship the Lord and come before Him in complete abandon to ourselves, we make this as an ultimate love response to the love that He first gave us. In Freedom Worship Center, we are free to praise and worship the living God in anyway that the Holy Spirit directs us – with His might, power and love!